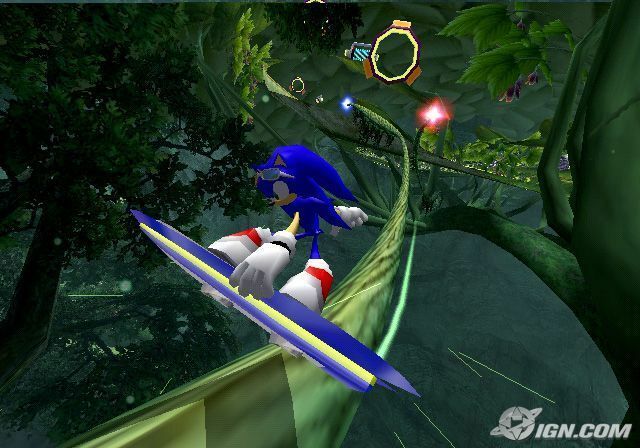 Sonic Riders is a Spin off Video Game. The game is played in its entirety using hover boards, which function largely like skateboards. Players must race seven other competitors on a total of 16 tracks, 9 of which must be unlocked through progress in the story mode, and two of which must be unlocked by winning Gold in each World Grand Prix (5 tracks per Grand Prix). Each individual character has different statistics, altering their performance slightly in races. A key component of the game is the air tank, displayed in the lower right-hand corner of the screen. Air serves as the fuel for Extreme Gear, and is depleted gradually as the race goes on. and by certain maneuvers. These include cornering, allowing the player to round sharp turns with ease, and building tension before a jump, which involves using the air to propel the player higher off of ramps. If a player runs out of air, their character will start running, putting them at several disadvantages; they can’t boost, attack, corner easily or use charged jumps. 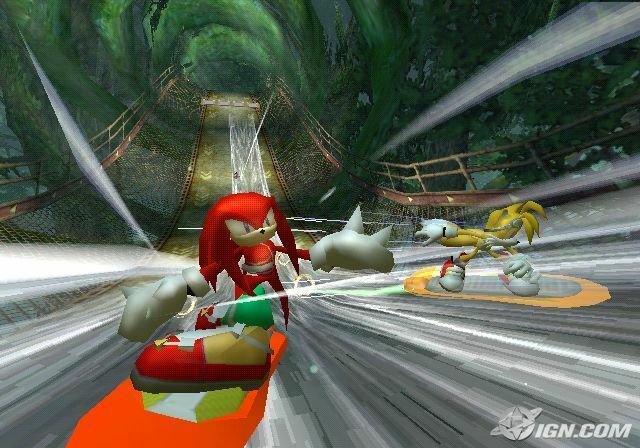 After going off ramps, players can perform various tricks, which refill the air gauge according to their rating. 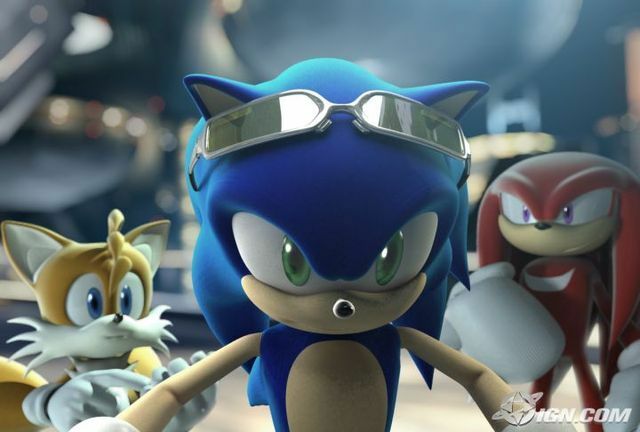 In the Story Mode, players take part in consecutive races, one after the other, based on the storyline, in order to defeat the Babylon Rogues and win the Grand Prix.